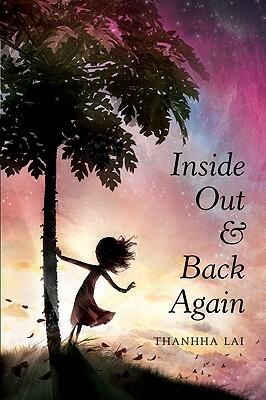 AuthorMitaliPerkins: INSIDE OUT AND BACK AGAIN by Thanhha Lai wins National Book Award! INSIDE OUT AND BACK AGAIN by Thanhha Lai wins National Book Award! INSIDE OUT AND BACK AGAIN takes the NBA! I'm so delighted about this win—nice work, National Book Award judges! "In this poignant, funny, and unforgettable novel, Thanhha Lai shares in verse how her family escaped Vietnam before the fall of Saigon. American and Vietnamese characters alike leap to life through the voice and eyes of a ten-year-old girl—a protagonist so strong, loving, and vivid I longed to hand her a wedge of freshly cut papaya. This tenderly told tale transports readers to the time immediately after the Vietnam War and also opens hearts to newcomers displaced by war today." Don't miss this beautiful story!